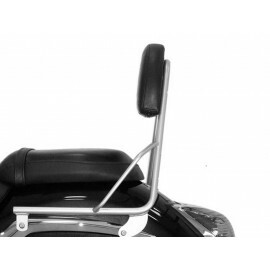 A sissy bar is a (usually padded) backrest for the passenger seat of a motorcycle. 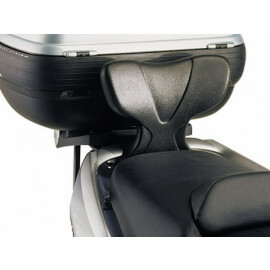 The male or female passenger is secure and can sit back and relax. 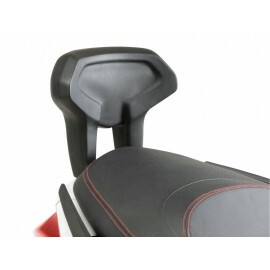 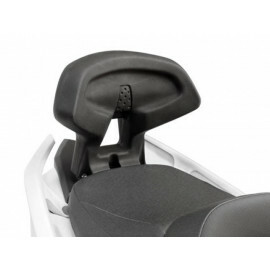 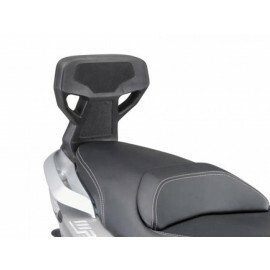 Sissy bars are along crash bars one of the most usefull motorcycle accessories. 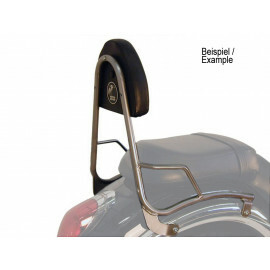 Many bikers mount a sissy bar for aesthetic reasons only to emphasize the eye-catching design of their bike. 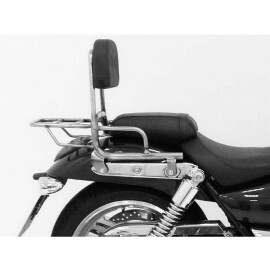 Since most sissy bars are chrome-plated they especially appeal to the chopper community. 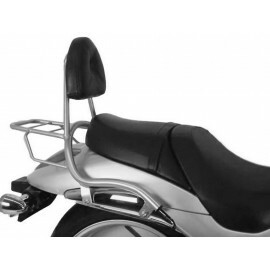 Sissy bar manufacturers make sure that their back rests match the motorcycle design and thus contribute to the refinement of the motorcycle. 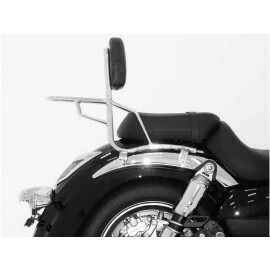 Especially for long motorcycle trips, a sissy bar comes in handy. 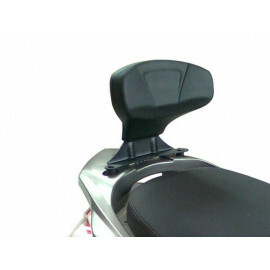 The passenger doesn’t have to cling to the driver, but can sit back in the sissy bar and both the driver and the passenger can enjoy the journey in a relaxed manner. 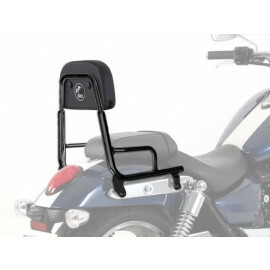 If you want to give your children a lift on your motorcycle, a sissy bar is quite useful too. 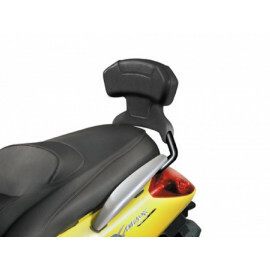 You don’t have to worry that your child might not be strong enough to cling to your body and, at worst, falls off the motorcycle. 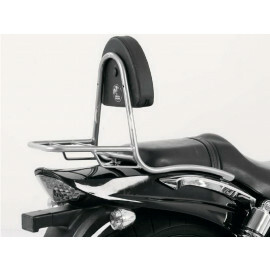 In such a case, a sissy bar provides stability and security. 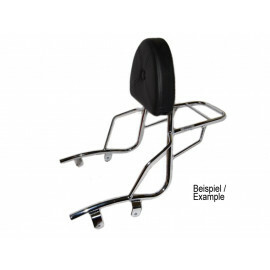 We stock sissybars made by Hepco & Becker and some motorcycle manufacturers (including Triumph, Kawasaki, and Yamaha). 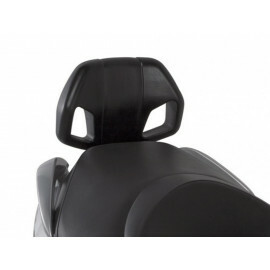 The articles are sorted by motorcycle model. 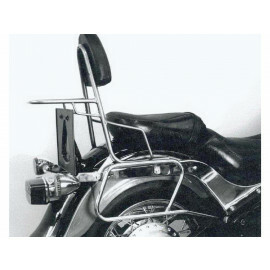 Not sure which sissy bar fits your motorcycle? 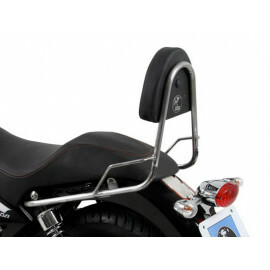 We will gladly help you find the sissy bar that fits your bike.